Initial Exchange Offering: A New Alternative to ICO? One of the most hyped-up news stories of the past week has been the Fetch.AI project, which raised $6 million in 22 seconds in an Initial Exchange Offering (IEO) on the Binance exchange. Previously, thanks to very high levels of activity, the entire volume of BitTorrent tokens was sold for $7.2M in 18 minutes, using the same tool. 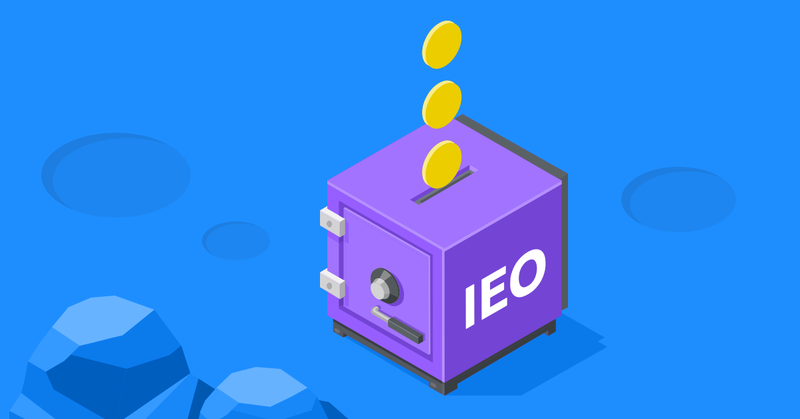 What is an IEO (Initial Exchange Offering) and what are the key differences between it and a traditional ICO? You can find answers to these questions below. Last year, the ICO (Initial Coin Offering) was the most popular method of fundraising. I would not say that interest in ICOs has completely disappeared, but the situation has changed dramatically compared to the end of 2017, when about 50–60 new ICOs were held every day — not all of them, of course, high-quality and honest projects. According to a study by Statis Group, approximately 80% of ICO projects are scams, with fake projects attracting in total one-tenth of all funds invested (of the $1.9 billion raised in 2017, $1.34 billion went to fraudsters). Another negative factor is that the legislative framework has not improved in most countries and investors are still unprotected against fraud. Private Placement, in which a project raises the required amount in closed mode, requiring a fairly high level of initial interest in the project. The best example of this is Telegram, which raised $850 million. Initial Exchange Offering (IEO) — an agreement with an exchange on an initial placement via the exchange. An Initial Exchange Offering is a token sale held on an exchange. The key difference between an IEO and a traditional ICO or private sale is the use of an exchange as an intermediary. The exchange team conducts a preliminary audit and technical verification of the project and its tokens assess the project’s investment attractiveness and potential, after which it announces the start of the token sale on the exchange. Investors wishing to purchase tokens do not need to send funds via a smart contract (as in the case of an ICO), register on the exchange and buy coins immediately from their personal account. Why do projects need this opportunity? The main advantage of this tool for projects is that the exchange has a large number of existing customers who automatically become potential investors. What benefits does it offer to investors? The main advantage for investors, apart from being able to trust the crypto-exchange as a safe intermediary, is the simultaneous listing of the coin, since the exchange acts as a kind of partner organization. Depending on the exchange involved, investors may have the opportunity to enter the project with fiat money. What are the benefits of an IEO for the exchange? The main advantage for the exchange is a massive influx of new users and their deposits. Some of these users may eventually become regular users of the exchange. How does the distribution of coins take place? Coin distribution follows the same principles as in an ICO, with the precise conditions being determined for each individual project. For example, developers may require a fixed price to sell tokens during the entire IEO process or set limits on the amount of tokens for each investor. The exchange can adjust the hard or soft cap if they see potential threats or if the token sale is successful. How to participate in an IEO? The rules for participation in an IEO may differ from one exchange to another, but the basic steps for users are the same. How do exchanges choose projects? The process is actually the same as the traditional due diligence process on coins after an ICO. As already noted, raising money in an ICO does not guarantee the future success of the project in any way. In most cases, the exchange judges projects on the work done by the project team, analyzing whether the idea is interesting, what stage the product is at and what its prospects are. Other important aspects are the team and the project community. It is also important to assess the value of the market and the project’s desire to conduct joint marketing campaigns (from a coin airdrop on the exchange to special reputational work in the media with feedback from both sides). Currently, this service is offered by only a few exchanges, including Binance, EXMO, GBE and Okcoin. Bittrex has recently announced that it will also host IEOs, and Huobi has created Huobi Prime. The best-known and most discussed platform on the Internet is Binance exchange’s Launchpad, which conducted the BREAD ($6M) and GIFTO ($3.4M) token sales within seconds in 2017. In 2019, the BitTorrent project tokens sold out in 18 minutes, raising $7.2 million, while the Fetch.ai project raised $6 million in 22 seconds. The EXMO cryptocurrency platform has already launched an IEO in February 2019, when it chose Paytomat (PTI coin) as its first partner project. The PTI coin IEO is scheduled for early March. Thanks to qualified auditing and a high level of trust in the coins on the crypto exchange (since EXMO was created there has been no coin delisting), the launch of the tool attracted much interest among crypto market participants. The other additional “bonuses” on the EXMO platform are fiat currencies (USD, EUR, RUB, TRY, UAH, PLN) and the large range of payment methods available. Projects can immediately withdraw tokens after the IEO, and investors can purchase tokens for fiat funds. Gibraltar Blockchain Exchange (GBE) has already managed to hold 7 token sales using its GBX Grid — Token Launch Center tool. OK Group has invested more than $100 million in a fund for start-up projects, close cooperation with funds in the digital assets industry and raising capital in potential blockchain projects. The risks of buying tokens using this tool are much lower than when buying in an ICO, since most ICO projects have no agreement with the exchange for further listing — in itself, a big risk. Unfortunately, nobody is immune from hacker attacks and the possibility of a coin being delisted by the exchange and poor project quality causing the price of an asset to decline, but these are extreme situations. What are your thoughts about IEO? Are you going to participate in any or maybe you have already taken part in any? Share in comments and thank you for reading. The Publication of EXMO Cryptocurrency Exchange. In Crypto We Trust.